at the end of each month, write a summary of the changes you’ve made and keep track of the recipes you’ve enjoyed making that month. At the end of the year, you’ll have your own personalized cookbook! look at each day as a new opportunity to feed yourself healthy, nutritious food. Even if you don’t meet your goals every day, try to keep working towards healthier eating with the same enthusiasm that got you started in the first place. Give yourself credit for all the times you DID meet your goal, and remind yourself of all the delicious vegetables and fruits you can still look forward to eating! 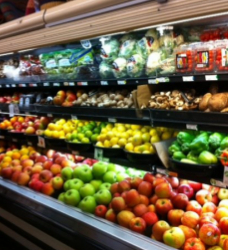 produce department page – weekly we have new specials posted!